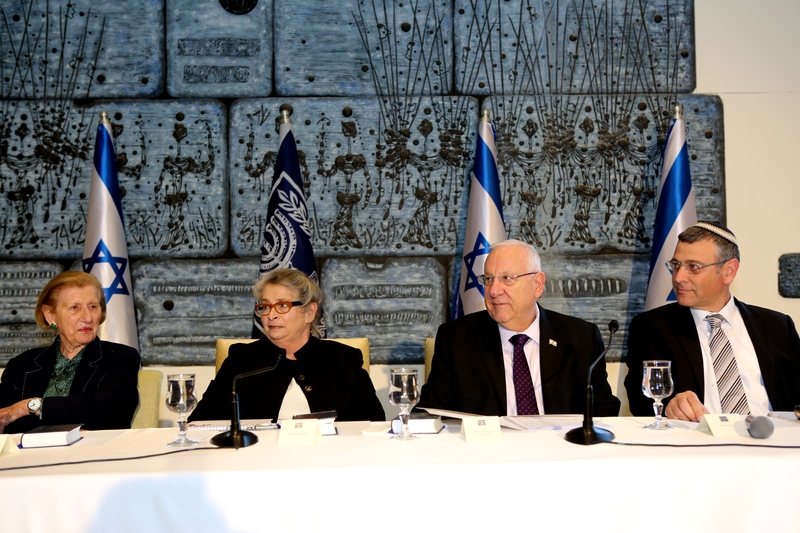 David Ben-Gurion envisioned a Jewish state where the Hebrew Bible was studied as a nation’s historical heritage. Backed by key rabbinic and cultural figures in Israel, a new website tries to make that happen. Is there anything that can unite the notoriously fractious Israeli people? Rabbi Benny Lau would like it to be the Tanakh—the Hebrew Bible—all 929 chapters of it. That is the impetus behind the 929 website, which Lau directs with journalist Gal Gabai and founded together with former MK Avi Wortzman of the Jewish Home party. The site went online during Hanukkah 2014 and is planned to end with the reading of Chronicles II, chapter 36 on July 11, 2018, with a prior celebration on Israel’s 70th Independence Day. The site design features the text of a Bible chapter on the right side of the screen, while the other two-thirds of the space are given over to explanations of the text from a variety of perspectives. Each day, there is a two-minute video of radio and television host Liat Regev and Rabbi Lau discussing the chapter, as well as a piece of art and a poem inspired by it. Multiple articles of 150 to 200 words are posted. In addition, the site has an article on rabbinic commentaries and a guide for those seeking more information. The site’s purpose is to help Israelis from all walks of life understand how the biblical text is relevant to them. Not from a religious perspective—though Lau is from a rabbinic family—but a social one, in which the Bible is a shared text that should belong to everyone. Lau is a modern Orthodox rabbi, and though the site has had its share of controversies, he is very serious about pluralism. The site hosts rabbis of all denominations, politicians of all stripes, artists, singers, writers, actors, poets, journalists, teachers, diplomats, psychologists, Bible scholars, and at least one convicted criminal. The list of contributors includes a Nobel Prize winner, a choreographer, a Supreme Court justice, and various social activists. Contributors to 929 include rabbis, politicians, singers, psychologists, scholars, and at least one convicted criminal. The idea behind 929 is an old one. In fact, the concept of using a text to create a shared culture and value system predates modern times. It goes back to the biblical book of Nehemiah. In Nehemiah’s time, Jews were returning to Israel from the Babylonian exile, and the problem arose of how to reconsolidate their identity. The solution was a public reading of the Torah, as described in Nehemiah 8:1-8. Cooperative public reading of a sacred text is an ancient solution to estrangement from a shared culture. The basic model for 929 is not ancient, but it is certainly old: The Daf Yomi (literally, “daily page”) system that Rabbi Meir Shapiro proposed in August 1923. Daf Yomi involves studying the 2,711 pages of the Talmud over the course of seven-and-a-half years. While based on this concept, 929 involves the study of one Bible chapter a day, five days a week, for three-and-a-half years. The biggest difference between these old and new systems, however, is technology—the Internet and the possibilities it creates. Lau himself says that the Internet makes the project possible. Besides the daily readings, the site has 30,801 registered profile users and has been viewed by 265,000 unique visitors. This wide reach serves the four declared goals of the site: to create social networks, study events, culture events, and study groups. 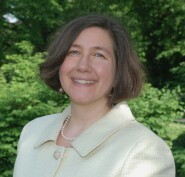 For Teperberg, the Tanakh “is a means not the goal….We want to make conversation.” Even though people will not always be able to agree, she hopes the site will help them “talk in the same language.” Interestingly, she came to 929 from a background as a lawyer with a degree in conflict resolution and transitional justice. She was formally employed by the Israel Democracy Institute, where she is still listed as a staff member in the areas of “Human Rights and Judaism in Action.” Rabbi Lau is listed there as well. Given that Rabbi Lau’s father passed away in November 2014, just weeks before the project got underway, I wondered whether the site was an attempt to renew that sense of connection his father had seen in the camps. But this hunch of mine was completely off. Rabbi Lau stated emphatically that his project is completely Israeli and based on an Israeli idea for Israeli society. Indeed, he refused to speak anything but Hebrew to me, partly to make sure this point was clear. Lau is well known in Israel for being a moderate and open-minded Orthodox rabbi. He wrote a weekly column for the liberal newspaper Haaretz, which led to the two-volume book Etnachta, and hosted a weekly television show. He often takes positions that are unusual in the religious world. For example, he has come out in favor of civil unions in Israel, perhaps because he has an openly gay brother, Amichai Lau-Lavie, who is now studying to be a rabbi at the non-Orthodox Jewish Theological Seminary in New York. This reputation, as well as Lau’s personal visibility, may be one reason the site has gotten so much attention. In fact, Lau’s scholarly area of expertise is not the Bible, but the rabbinical sages and the halakhic process of interpretation. His doctoral dissertation was on the halakhic theories of the late Sephardi Chief Rabbi Ovadiah Yosef, which was published as a book with Yosef’s cooperation. Lau’s other major project is a four-volume work on the sages, the first three of which have been translated into English. He has also written or co-written studies of the Biblical books of Samuel, Jeremiah, Esther, and Isaiah. When I asked him whether he might start a 929-style project on the Mishna or Talmud, Lau responded, “If an interest in Mishna [comes from 929] I am happy.” But, he said, the Tanakh is unique in that it is not just a legal text, but has a cultural aspect as well. As such, it is a shared text of interest to both secular and religious Jews. The knowledge Lau hopes to impart does not only come from textual study, but also art, literature, song, and poetry. He himself quoted the secular poet Yehuda Amichai in the introduction to his book of essays on weekly Torah readings, and has ensured that culture is an integral part of 929. For example, singers have been commissioned to write songs inspired by each book of the Bible. A song by the singer Karolina was recorded at Kibbutz Tzilaim, where she gathered a spontaneous choir of voices from around the kibbutz. 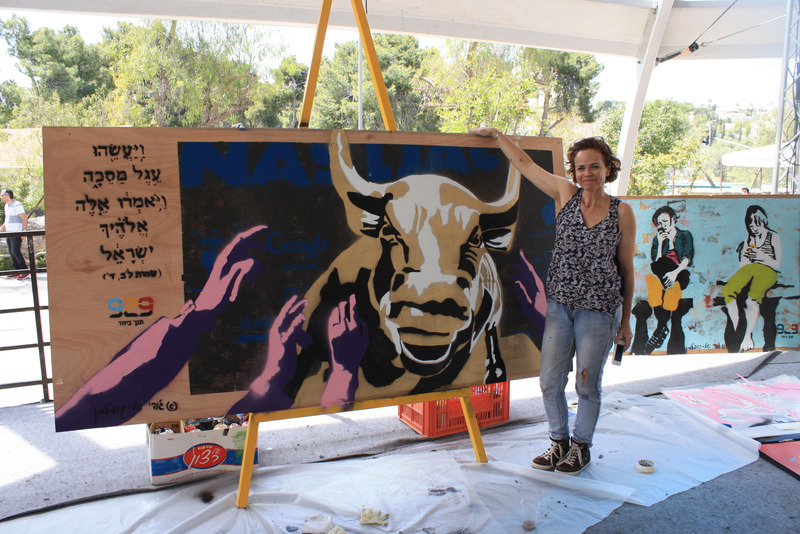 929 has also commissioned graffiti artist Judy Koppen Mantal to do eight different pieces, including one at the Tel Aviv Central Bus Station. The site is also reaching out to the worlds of fashion and design. One of its cultural initiatives was a jewelry design competition. The call for submissions asked designers to use the book of Exodus to inspire their work. 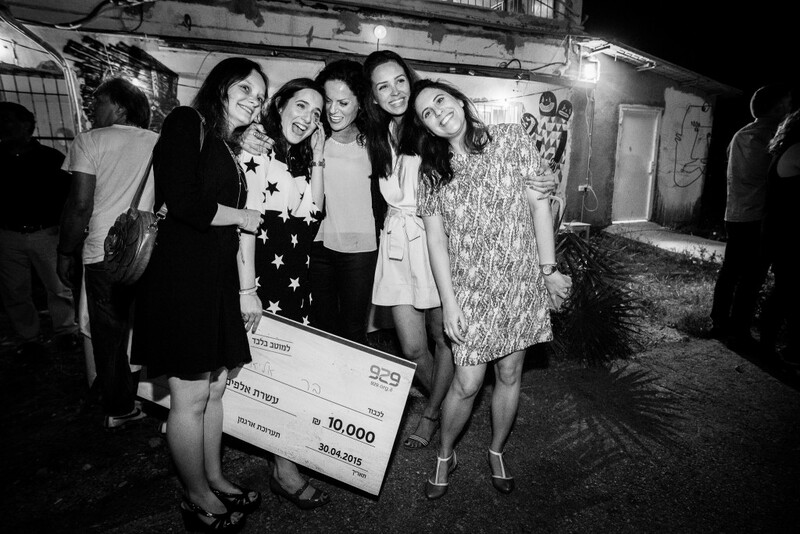 Eighty designers entered, and ten were chosen and given funds to produce their designs. 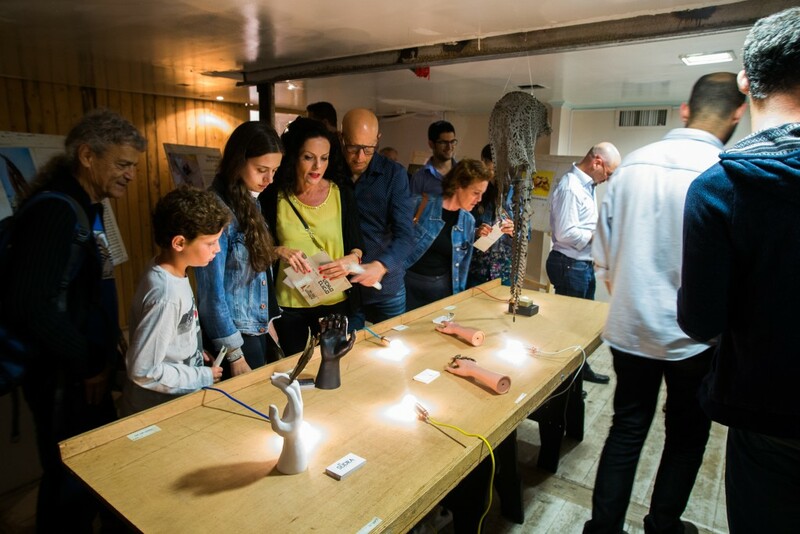 On April 30, the project held an exhibit of the ten designs at the Galerie Alfred in Tel Aviv. The designer Bar Elias was chosen the winner, and received a 10,000 shekel prize donated by the Israel Diamond Center. I was invited to attend the event as a reporter. My cab driver deposited me a few blocks away and told me that Chelouche Alley, where the exhibit took place, was nearby. I wandered around until I saw some other women, well-dressed and similarly befuddled as to the whereabouts of the gallery. I followed them. At the entrance, each attendee was given a pamphlet explaining the exhibition, along with three stickers to place on the exhibits in order to nominate them for first, second, or third place. The ten items in the exhibit were completely varied. One piece, a leather helmet with a cut-out design, was inspired by a description of the mitre of the High Priest. Another, a parchment and metal set of bracelets, was influenced by the descriptions of the Tent of Meeting. A third design incorporated the acacia wood of the Tabernacle. Another was a ring whose shape was an homage to the wings of the cherubs on either side of the Ark of the Covenant. A fifth was a ring in the shape of a miniature Tabernacle, with handles like those used to carry the Ark. The variety and the range of ways the artists found inspiration from the biblical text was intriguing. In a courtyard outside the exhibit, a lavish party was underway. It was an artsy crowd—young, attractive and well-dressed—enjoying a spring evening in a garden festooned with hanging lights. 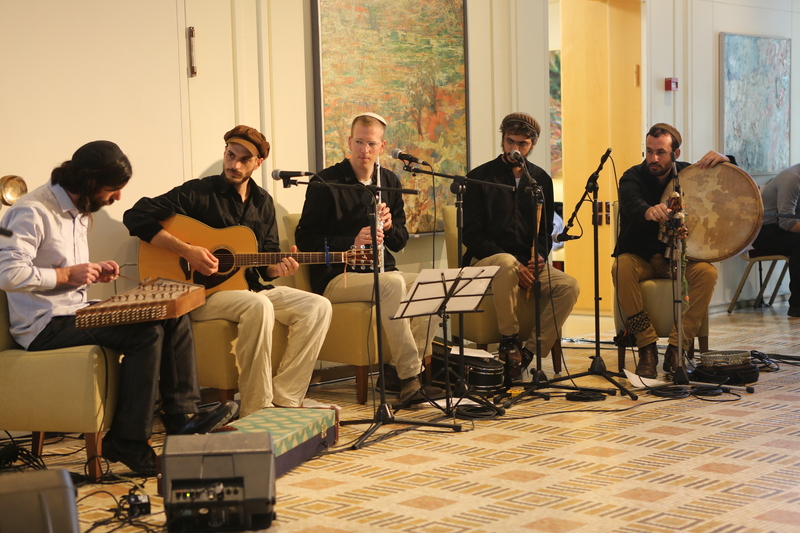 There were very few guests wearing kippot or a head covering. The scheduled entertainment for the evening was a talk by Sharon Tal, the chief designer at Maskit, a company started in the 1950s by Ruth Dayan and reopened by Tal a few years ago after she returned from London, where she worked for the late designer Alexander McQueen. Either no one had told Tal about 929 or she was told to present her usual talk about her company. She did not mention any connection between the event, 929, or the Bible in any form. After Tal’s talk, everyone adjourned to the courtyard again, there were a few speeches, and the winner was announced. One of the speakers said that he had not been sure what to say that evening, so he logged on to the site. There, he found a posting that commented on Leviticus 5. It was by Rony Leibovitz, also known as the “ofnobank,” or “motorcycle bank robber.” After his conviction, Leibovitz returned the money he stole, and become a speaker and counselor. His post spoke about the possibility of repentance and forgiveness. Another speaker commented on the book of Exodus, referencing the importance of Bezalel, the architect of the tabernacle. I was of two minds about the event. On the one hand, it seems praiseworthy to reach out to a group of people who might be able to teach us something new about a biblical text that describes a tangible sacred space in rich detail, as well as learn something themselves, as Ms. Attias says she did. On the other hand, I wondered how much content was actually getting through to most of the evening’s attendees. Were all of them even aware of the connection to a project devoted to encouraging as many Israelis as possible to study the Bible on a regular basis? Certainly, the evening’s main speaker did not seem to be aware of it. I was not at all certain that the mingling and socializing attendees knew what brought them to Chelouche Alley. Just as Sharon Tal made no connection between the event and 929, a number of the writers whose pieces appear on the site had no comments on it or its mission. Many of them told me they had been asked to write and did, but had no kind of loyalty to or interest in what the site is trying to accomplish. Many contributors to 929 had no comments on it or its mission, and showed no kind of loyalty to or interest in what the site is trying to accomplish. Others find the site’s emphasis on the articles and opinions of a variety of people—rather than close textual study—problematic. Some have noted, and I agree, that the very design of the site, with the Biblical text to the side rather than the center and most of the space given over to articles, is an indication that the site’s purpose is more social than educational. This visual presentation gives viewers the sense that the Tanakh and its study are not the true purpose of the site. Instead, it is a tool to stimulate conversation and dialogue on a national level. Some Bible scholars and writers consider many of the site’s pieces “scribbling,” and believe they lack intellectual depth. This absence of a hierarchy of knowledge, in which serious and careful readings of the text based on the available evidence are prioritized over opinions and ideas brought without any proofs of their validity, is troubling to many scholars and even conveys an anti-educational message. I too would like to see a section on the complications and difficulties faced in the understanding of each chapter. What are the exegetical difficulties in each section? Why can’t scholars grasp the textual meaning of particular words or concepts? A sense of where texts are ambiguous or challenging, rather than the pretense that the text is open to anyone’s understanding, might do much to answer the objections of scholars. Yair Zakovitch, the Father Takeji Otsuki Professor of Bible Studies Emeritus at the Hebrew University of Jerusalem, who has written eight articles for 929 and spoke at the 929 opening ceremony at the president’s home, told me that, while he has respect for Rabbi Lau, he is troubled by the fact that people who don’t know very much about the Bible are “encouraged to write their own pieces.” He says that he does not write about basketball, and does not want “a basketball player who knows nothing to write about the Bible.” Zakovitch sees the initiative “as a great one and I wish them success,” but “professional Bible scholars are snobs and they are proud of it.” He added, “I do a lot of lectures for the general public, and I don’t need 929 to talk to people.” To Zakovitch, the real test of the initiative will be whether people will continue to use the site into the second or third iteration of the study cycle. Zakovitch is also troubled by the proportions of secular and religious writers and concerned that not enough weight is being given to the secular side. 929 has been the subject of controversy amidst accusations of censorship and questions over its intentions, levels of scholarship, and funding sources. The biggest controversy the site has generated thus far concerns the censorship of a piece by Ari Elon. Elon teaches at the Secular Yeshiva at BINA, the Center for Jewish Identity and Hebrew Culture. He was asked to contribute ten pieces to the 929 web site, and a storm broke out over his commentary to Genesis 9:5-6. Rabbi Lau took the piece down and it remains unavailable, but an account of it appeared in a Jerusalem Post article by Noga Brenner-Samia, one of Elon’s colleagues. Elon wrote about the verses that describe Noah’s Ark and the Flood, in which God wipes out the vast majority of the world and admits to regretting his creation. Elon commented on the verse, “Whoever sheds man’s blood, by man shall his blood be shed, for in the image of God made he man” (Genesis 9:6) and, says Brenner-Samia, “dared to point out that God himself doesn’t follow his own edict.” Elon then asked “the ultimate heretical question,” as Brenner-Samia put it: “What kind of man creates such a God in his own image?” This was too difficult for some religious people to hear. The irony, of course, is that a story of God changing his mind about the goodness of his creation because it has become violent and evil is what wrecked the spirit of cooperation between secular and religious people on the 929 site. It is hard to understand how such questions could be so threatening if, as Rabbi Lau wrote on his Facebook page, 929 “does not describe an agreement with the positions of neighbors, but rather a recognition of the existence of shared public space.” But this “public space” has already shattered. Elon is now part of the Facebook group “Making the Tanakh secular with 929 windows,” a play on the words hiloni (“secular”) and halon (“window”). In other words, secular commentators have now split off from a site whose goal was unity. 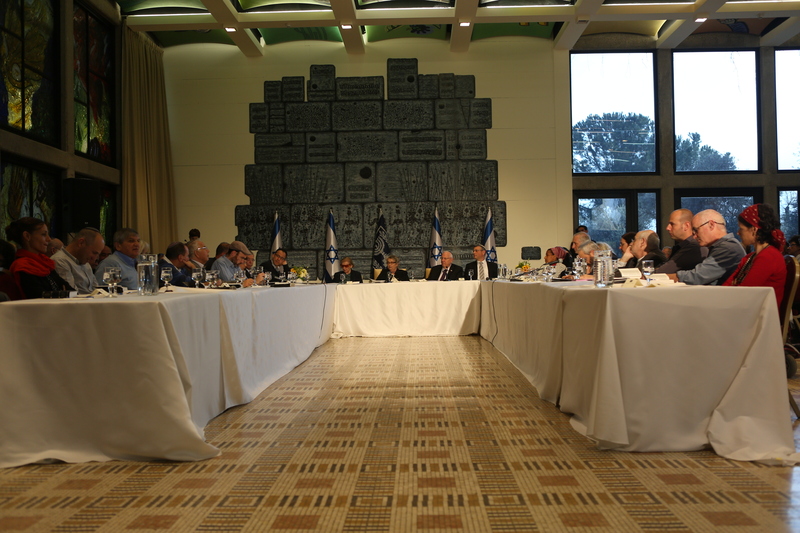 It is also interesting to note that a new, alternate, religiously-approved 929 site with the same layout was started at the Herzog Academic College of Yeshivat Har Etzion, an institution known for having rabbis with PhDs in secular subjects who place a high value on complexity and viewing issues from multiple perspectives. Students at this yeshiva serve in the Israeli Army and attend secular universities, so it seems odd that they would not value the chance to join with other Jews in joint study, over the fear that they might be exposed to ideas that they find out of sync with their world view. The real issue, as Brenner-Samia pointed out, is that 929 is mostly funded by Israel’s Ministry of Education, meaning that public funds are going to a site that is not representing a wide enough range of viewpoints. If the intent is to create of a shared space for ideas, rather than a collection of commentaries that offend no one, then the sensibilities of the Orthodox should not outweigh those of the secular. In the case of Elon vs. Lau, it seems that no one stepped in to ensure the rights of secular commentators. The censorship of Elon has remained in place, and many secular participants in the site have remained disappointed. Despite the controversy and the misgivings of some observers, Lau has big plans for the site. He told me that, in the four months the site has been in operation, there have been 30,000 visitors who log in every day. He hopes that the number of study groups will rise from 100 to 1,000. In September 2015, an app for the site will be rolled out. To him, all of this is a “beginning, not an ending.” Lau’s goal is to “make a mass movement” based on the site. Avi Wortzman told me that he hopes to translate the site into English, French, Spanish, and Russian, and eventually have a million Jews throughout the world learning Tanakh on a daily basis. “I want people to understand that Tanakh is relevant also today,” said Liron Meroz, the principal editor for the site, so for each chapter he tries to find writers who have some kind of relevance. Meroz’s background is as a journalist and content editor at the Haaretz, Walla!, and Makor Rishon websites, and he brings these skills to his assignments. “I say to a person, ‘what is the meaning of this text to you?’” he said. “We don’t interview people. We ask them to write between 150-200 words, that’s all. I turn to them and tell them to write.” He added that he does not want to “tell you what to read or how to read” a particular text, and the only rule for writers is “don’t damage others.” I asked about some of the comments on Leviticus 18:22, which details prohibitions against male homosexuality. I thought that some of the writers about this verse expressed themselves in a way that was demeaning to homosexuals. Meroz asked whether I’d read the piece by Daniel Yonah, a religious man who is openly homosexual, which I had not. He added that he hopes the comments on Leviticus 18 express to readers “how complex society is today” and “there is a need to struggle” with the text. The example of Leibovitz shows that, whether it can truly serve a unifying purpose or not, the 929 site is enabling Israelis from all backgrounds—from presidents to thieves—to discover how the Bible is deeply relevant and meaningful to them, allowing them to connect with it in ways both conventional and surprising.